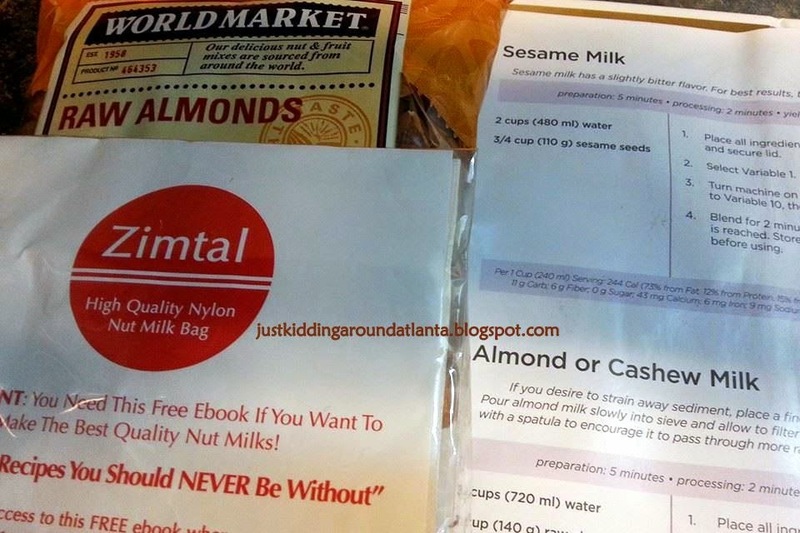 Last week I received the Zimtal Nut Milk Bag to try out. As a Saba Associate, I use many of our products, including Toppfast Meal Replacement shakes. I like to use almond milk in my shakes, but it gets expensive, so homemade is the way to go! 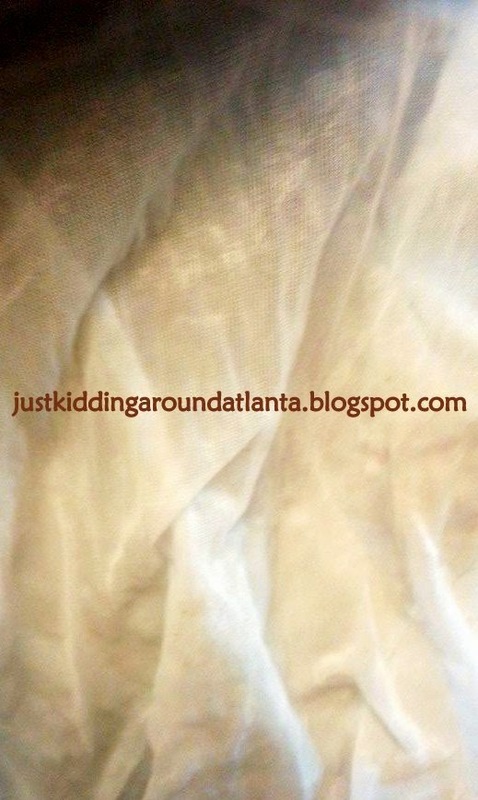 I had purchased a nut milk bag on Amazon a few years ago when we got our Vitamix, but it wasn't the easiest to clean, so eventually I stopped using it. This bag is much better. When I opened the package, I noticed that the mesh on this bag was much finer than our previous bag. I thought it was cool that they also give you a link on the package for a free ebook with recipes for making several types of nut milk! It truly couldn't be easier to make almond milk at home. You just put almonds and water in your blender or Vitamix, and blend for several minutes. You can add a sweetener to it if you'd like, but since I use chocolate Toppfast mix with my almond milk, I don't add anything else to it. When it's at the consistency that you like, then just pour it through your Zimtal bag (with a bowl or pitcher below!). The milk will start to strain through the bag into the pitcher. When it slows down, you begin squeezing the pulp left in the Zimtal nut milk bag to get all the milk out of it. It will take 5 minutes, maybe more. But it is worth the time and effort to get FRESH almond milk with no preservatives or additives! 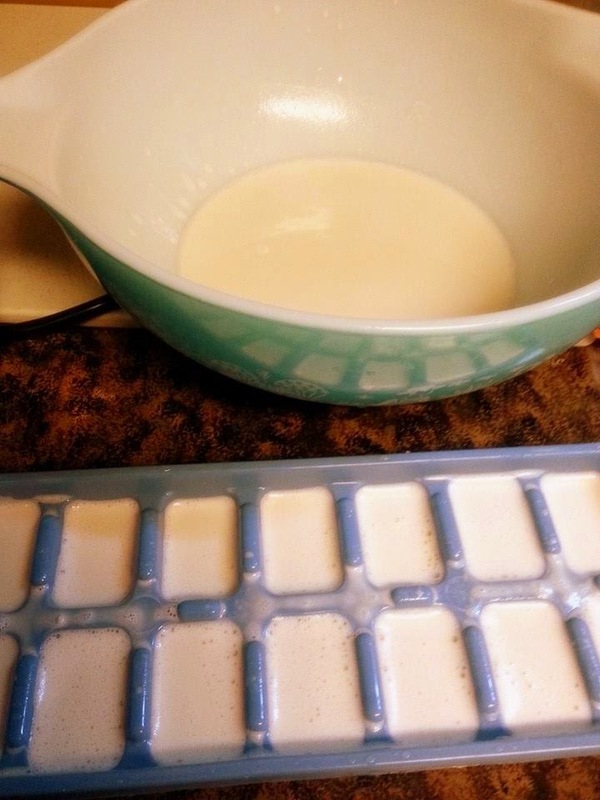 Since I make shakes every day, I like to freeze some of my almond milk in cubes so I can add them to my shake and make it frosty! It will last in your fridge for several days, just store in a covered pitcher or other container. Once you are done squeezing out the delicious milk, you can dehydrate the pulp that is left in the bag, then use it in smoothies, muffins, etc. In the past, I would toss it out, but I'm trying to find uses for it! I have also added a little of the dehydrated almond "meal" to my smoothies - yum! 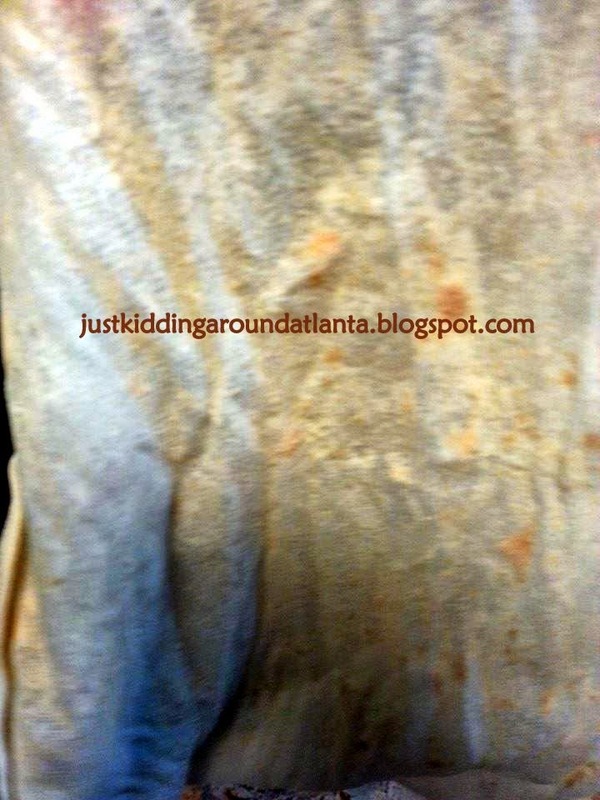 Then I simply flip my Zimtal bag inside out to get all the pulp out, then handwash it in the sink and hang it up to dry. This bag is super-durable, which is great because you have to squeeze the heck out of it to extract every drop of almond milk! This bag hasn't given me any problems despite multiple uses this week! I've also used it to strain juice from my Vitamix. The Vitamix grinds everything and leaves your juice with lots of pulp. I do not like pulp in my juice! So when I make apple/carrot/spinach juice, I strain it through this bag to get all the juice out and it works perfectly for that purpose, too. You can use the leftover fruit pulp in muffins, soups, or smoothies, as well. You can get your own Zimtal Nut Milk Bag here! I am very pleased with this bag and I think it will be used often in our kitchen! 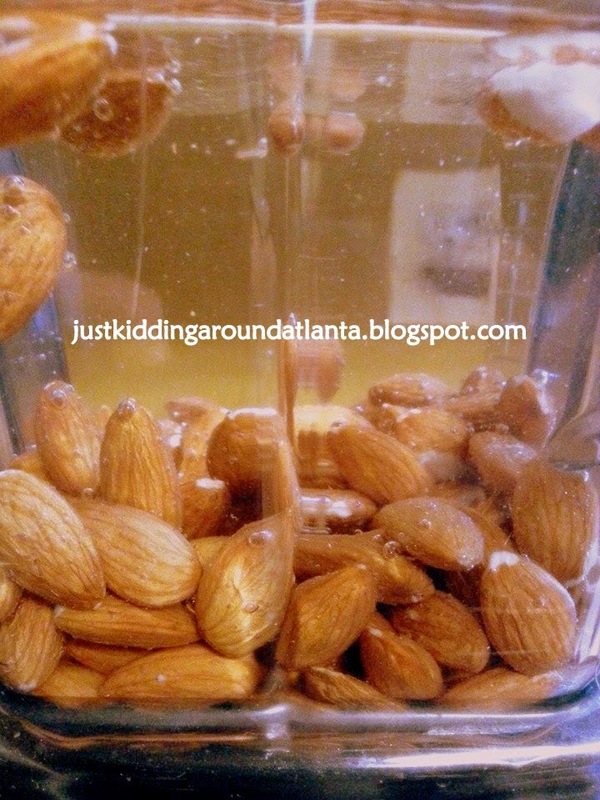 Have you ever made your own Almond milk? 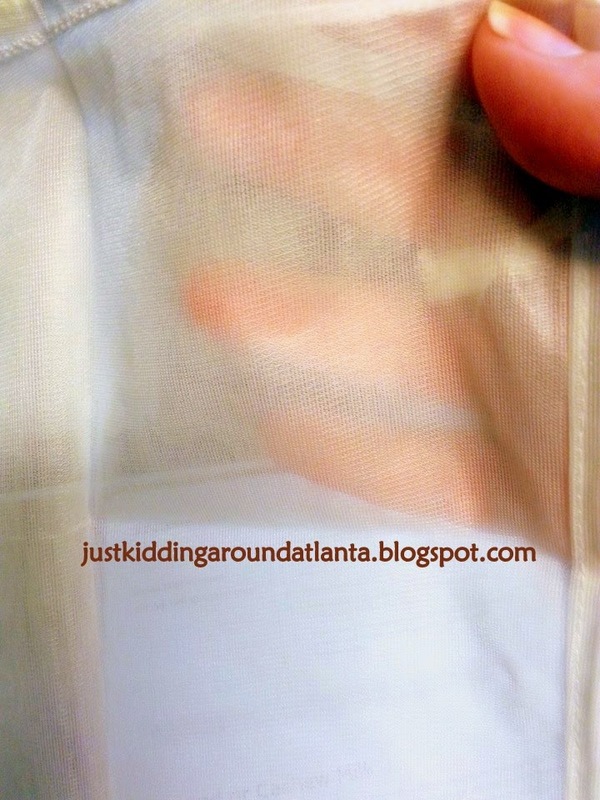 Disclosure: I received a free Nut Milk Bag from Zimtal so I could review it. No other compensation was received, and the opinions in this post are my own.